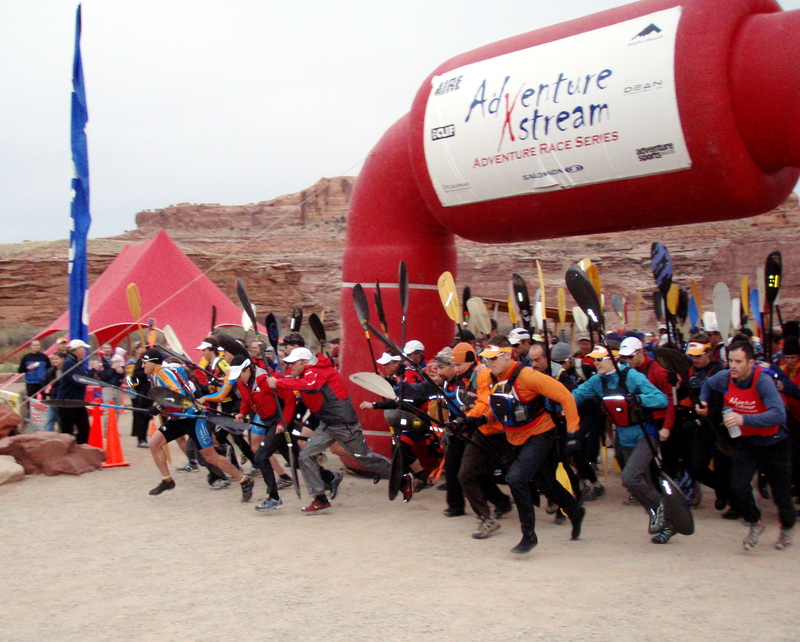 The team got the season started on the right foot, with an emphatic win at the 8th annual Adventure Xstream 12 Hour Race in Moab on Saturday. Team members Mike Kloser, Michael Tobin, Daniel Weiland and Sari Anderson finished the 50-mile course in just over six hours, well ahead of a strong team from Boulder Performance Network. 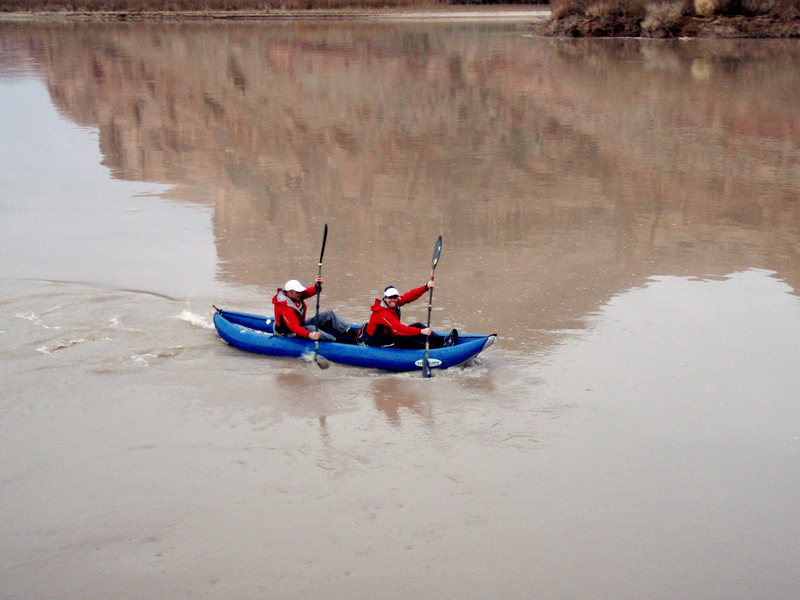 The race started with seven mile duckie paddle on the Colorado River from Gold Bar to Potash. The team from Boulder Performance Network, led by world-class paddler Mike Freeburn, set the pace and reached the take-out for the paddling leg about a minute ahead of Nike. 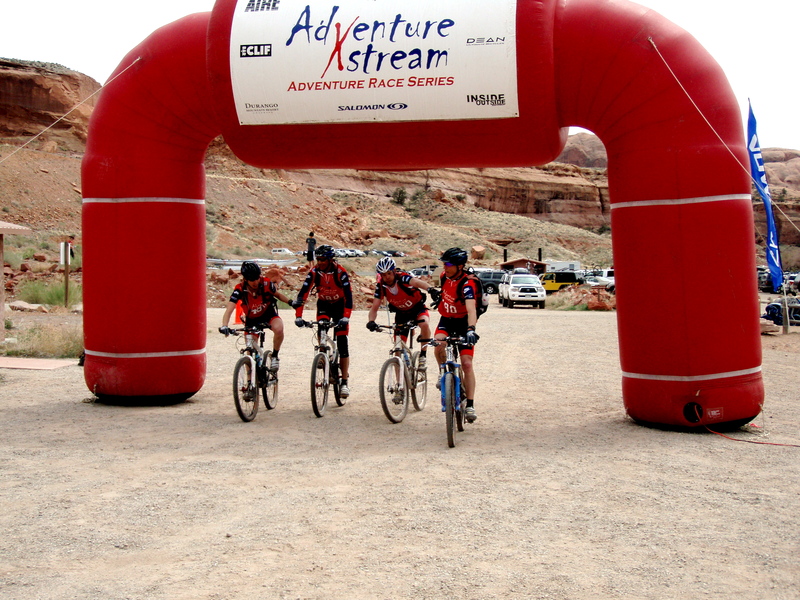 The teams then transitioned to their mountain bikes, for the long, steep climb to Gemini Bridges via Longs Canyon. Nike’s strength on their bikes helped them quickly catch up to the Boulder team and pass them on the climb. At Gemini Bridges, the teams dropped their bikes and set off on an hour run to the top of the arch, where they roped in for the rappel. 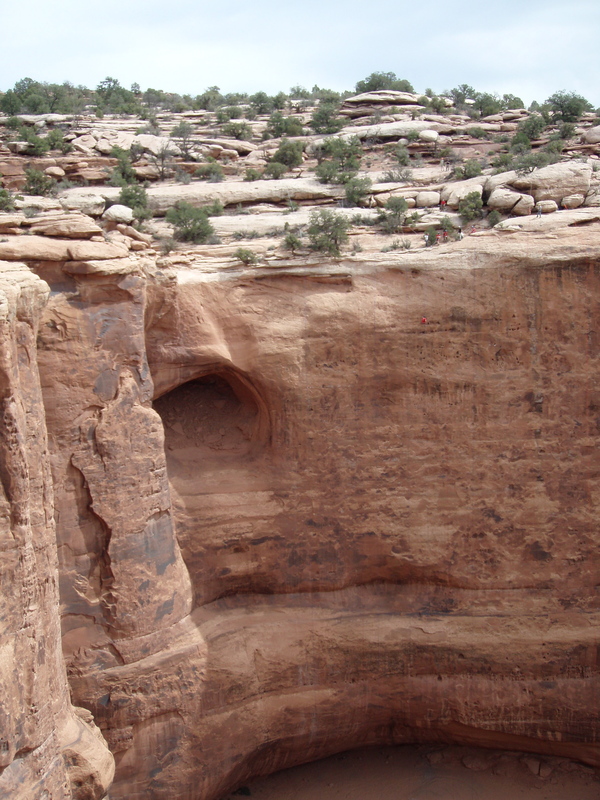 The highlight of the race was definitely the 300 foot rappel from the top of Gemini Bridges. The teams then mounted their bikes again for the descent back to Gold Bar. Team Nike finished with a comfortable margin over the Boulder team, and then sat back to enjoy some cold beers at the finish line while cheering on the other 400+ racers who raced on Saturday.